There are over 8,000 “PSI’ers”around the world. We are a diverse group of entrepreneurial development professionals with a wide range of backgrounds and experience. All with unique skills that we bring to the critically important work that we do. PSI and its local affiliates support national Ministries of Health to deliver improved vector control strategies. As a leading organization in vector control globally, PSI has delivered over 42 million treated mosquito nets. 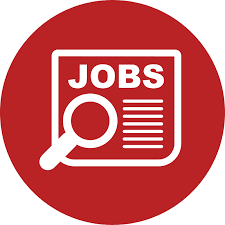 We are looking for a Senior Technical Advisor (STA) to oversee the technical integrity of in country program to support service delivery across public, private and community channels and shaping the future of malaria vector control in Tanzania. This position is contingent upon 5-year Malaria Bednet Delivery USAID-funded project in Tanzania with an anticipated award of May 2019. The Senior Technical Advisor (STA) oversees all monitoring and evaluation aspects of the vector control project in Tanzania. The STA coordinates the technical inputs of the team and monitors progress against the targets set. The STA also assesses needs and gaps in the project and proposes in conjunction with project staff as a plan to overcome them. Oversee the technical components of the work planning process, performance management, and strategic communications. At least 5 years of experience working in the field of malaria vector control; preference will be given to those with USAID/PMI experience. Educational background in public health and or research. Demonstrated ability to contribute to the in Country Malaria technical and policy debate. Experience leading monitoring and evaluation of programs including use of data to action frameworks. Application will be considered valid, if sent/received before 1700hrs, Thursday, 20th December, 2018. Please note that only short-listed candidates meeting the above requirements will be contacted. 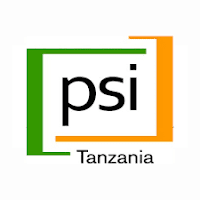 Send you application to recruitment@psi.or.tz in MS Word or PDF file. Indicate the name of position on the subject line of your email.